Battle of the Sexes and Borg vs McEnroe take centre court. Wimbledon is now under way, so what better time for this year's two competing tennis movies to release new promo material. 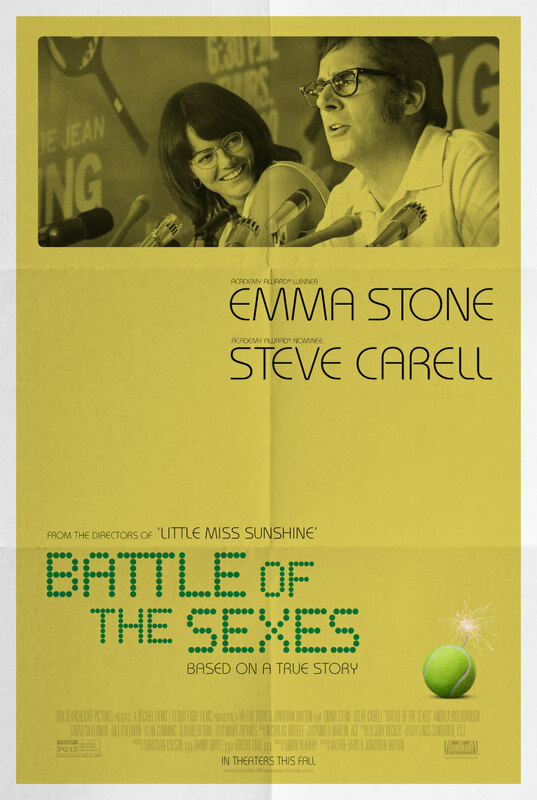 First up is a new UK poster for Battle of the Sexes, the story of the infamous match played between women's World No.1 Billie Jean King (Emma Stone) and former men's champ and huckster Bobby Riggs (Steve Carell). 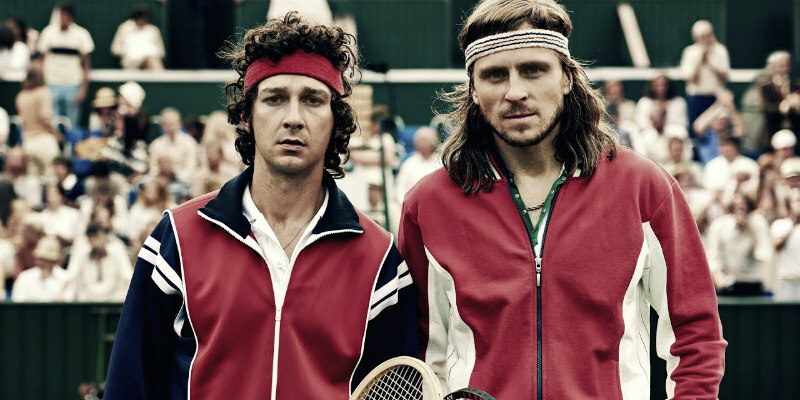 The other big tennis themed movie on the way is Borg vs McEnroe, which dramatises the rivalry between American John McEnroe (Shia LaBeouf) and Sweden's Bjorn Borg (Sverrir Gudnason). A short UK teaser and a full US trailer have been served up. Award-winning Danish director Janus Metz brings to the screen the story of one of the world’s greatest icons Björn Borg and his biggest rival, the young and talented John McEnroe - and their legendary duel during the 1980 Wimbledon tournament. 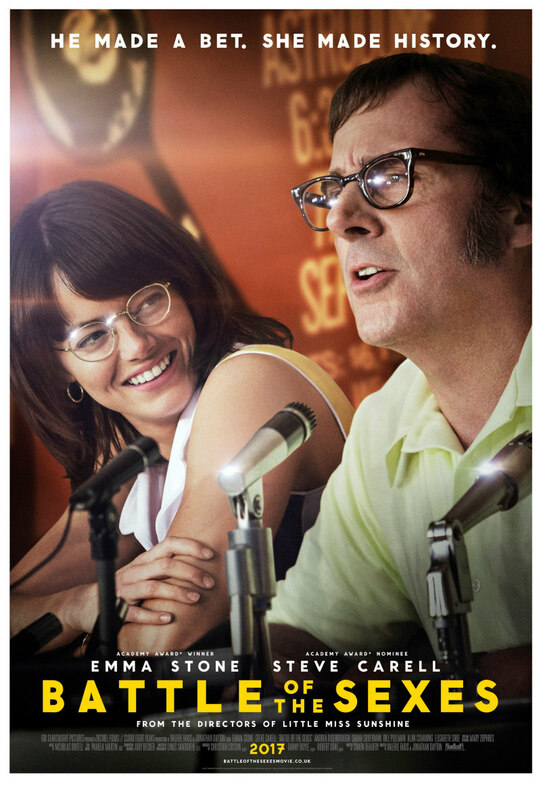 Borg vs McEnroe and Battle of the Sexes are in UK/ROI cinemas September 22nd and October 20th respectively.